Visions Electronics is dedicated to being recognized as the Best Name in Electronics in Canada by you, our Valued Customer. The company was established in 1981 by Richard (Rick) Stewart along with his wife Jean, with a single store and a staff of two in North East Calgary. While Jean has sadly passed away, Rick Stewart still proudly owns the company today, and Visions has now expanded to 43 locations within Canada with a complement of over 1,000 employees! Visions Electronics has retail locations in the following provinces Ontario, Manitoba, Saskatchewan, Alberta and BC. Our stores can be found in Brampton, Burlington, Hamilton, Kitchener, London, Mississauga, Scarborough, Vaughan and Whitby in Ontario, and in the Prairies we have stores in Winnipeg Manitoba, and in Regina and Saskatoon in Saskatchewan. In Alberta we have stores in the Lethbridge, Medicine Hat, Calgary, Red Deer, Edmonton and Grande Prairie markets, while in BC we can be found in Prince George, Kamloops, Kelowna, Abbotsford, Langley, Surrey, Coquitlam, Burnaby, Vancouver, North Vancouver and Victoria (Langford). To find a retail location near you click on the following link Customer Support > Store Locator. In addition to its retail operations, Visions Electronics services the wholesale and business markets with our Visions Business Solutions division, which operates separately from the retail division. Along with our retail stores and Business To Business division, we also ship products all across Canada via purchases made on this website. WE ARE DEDICATED TO BEING RECOGNIZED AS THE BEST NAME IN CONSUMER ELECTRONICS IN CANADA! We will earn the loyalty and trust of our customers by consistently satisfying their individual needs and exceeding their expectations in a comfortable and supportive environment. People are our greatest asset. We will encourage our employees to become professional members of our industry, and within a supportive team environment, we will provide the opportunity for training, advancement and personal reward and recognition. We are committed to retaining long-term, professional relationships with our suppliers that are mutually rewarding and are based on loyalty and trust. We will demonstrate uncompromising integrity and honesty in the conduct of all company affairs, and we will be a responsible corporate citizen making a positive contribution to our community. Visions is proud to offer industry-leading customer satisfaction policies. Our goal is your 100% satisfaction, and we are confident that we have the policies to accomplish that. If for any reason you are not completely satisfied with your purchase, simply return it within 15 days of purchase and we will gladly give you a refund (details below). If you have a need to exchange a product because it is defective or in favor of a different product, bring it back within 30 days of purchase and we'll exchange it for you. 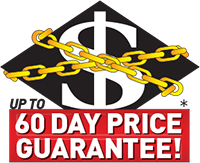 Visions Electronics offers the best price protection guarantee in the business, period! You can shop with confidence knowing that your purchase price is protected for up to 60 Days* double what the competition offers! Buy your product now, either in-store or on-line and if you find a lower legitimate advertised price we will gladly refund you the difference. How can we do this when nobody else can? We want you to be 100% confident that you have made the right decision when you shop with us, and no matter what happens to the price in the market afterwards, you will be looked after. What should you do to make sure you get your Price Protection Guarantee? After you make a purchase from us, monitor ads from us and our competitors either online, or in the newspapers and flyers etc. If you see that the product you purchased from us is advertised for a price lower than what you paid, send us the Price Protection Guarantee Application Form with all relevant information needed to claim your price protection. More, Better, Longer Product Protection and You Get Your Money Back! Our Full Coverage Plans, designed to be the most comprehensive in the consumer electronics industry, were created to give you 100% security. There is little that can happen to your purchase that would not be covered by Visions Full Coverage Plan. You'll never have to worry about an expensive repair bill for as long as you're covered under the service plan. All parts and labor are covered and you never pay a deductible. Visions Electronics warranty service plan is available throughout Canada. So there is no problem if you move. Your Visions Electronics service plan is transferable to a new owner. This makes a private sale easy and also increases the value of your purchase. The price for your Visions service plan is based on today's labor rates - eliminating the worry of rapidly increasing costs of parts and labor. If at the end of the service plan, no claims were made within the life of the extended service plan, 100% of the value paid (less tax) will be credited back to you in a form of an in-store credit. We will not be undersold! 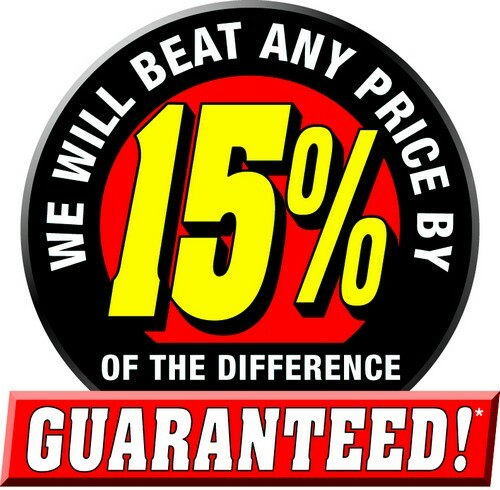 Before you buy, if you see a lower legitimate price from any authorized Canadian retailer or dealer for any model we stock, either online, in-store, or in print, we will beat that price by 15% of the difference. Just more proof of why Visions Electronics is “Your Best Price!”. Visions Electronics is the leading authority in Car Audio and Mobile Video Installation. We ensure your complete satisfaction with both your purchase and installation offering the best brand names in the business along with superior product knowledge, customer-first service, and the industry’s most competitive pricing. Our confidence in our experts is so unconditional that we guarantee your satisfaction with our labor for as long as you own the car! In Home Setup Solutions available on most in-store purchases. Which includes delivery, installation and an explanation on how to get the best out of your purchase all at competitive low rates. Of course any product ordered on our website will be delivered direct to your door. 90 Days Automatic 0% Financing with No Interest and No Payments! 90 Days, Automatic 0% Financing with No Interest and No Payments is available on all in-store purchases. With every purchase using your Visions card you get zero percent financing for 90 days and pay no finance charges if paid in full in 90 days. O.A.C. Ask your salesperson for details.